This toolkit was created by ENSIE team to support its members in engaging within the European Semester process in the framework of the EU2020 strategy. It helps understanding the different steps of the Semester process and where and when national and regional organisations are able to intervene and give relevant outputs linked to the work integration social enterprises objectives. In particular, the toolkit explains different mechanisms, especially, the annual growth survey, the country specific recommendations and the national reforms programmes. It identifies the opportunities to engage and lists the relevant contact points for our national member organisations. The ENSIE’s team remains available for any further inputs concerning the whole approach. The country-specific recommendations, as tailored policy guidance to Member States, are one of the key products under the European Semester. This year, the team created again a summary document for each country where the network has a member in order to tackle topics such as social economy, unemployment and inclusion of disadvantaged groups in the policy framework of the different states of our Members. Publication of the Joint Employment Report: what are the perspectives for the young? It is part of the Annual Growth Survey which opens the European Semester. The results evaluate the Member States’ measures to improve young employment, especially NEETs (Not in Education, Employment or Training). INFORMATION AND EXCHANGE SESSION: The European Semester Alliance experience in Ireland - JUNE 17, 2016 - Dublin, Ireland. During its General Assembly, ENSIE invited Robin Hannon from EAPN Ireland, member of the European Semester Alliance, to share its experience with our members. In Ireland, our member is taking part in the actions implemented by the Irish national Alliance, a national pilot project that aims to pilot a broad, cross-sectoral joint approach to national collaboration on Europe 2020 through the European Semester, with particular reference to joint engagement in the National Reform Programme (NRP), the Country-Specific Recommendations (CSRs) and proposals to the Annual Growth Survey (AGS). In February, the members of the Board of Directors of ENSIE gathered in Brussels to discuss the state of play of the finances and activities of the network. At this occasion, the team held a peer-learning session on the European Semester. The success of this session lead to the organisation of additional sessions with other members of the network. On 26th November 2015 the Commission has published the Annual Growth Survey (AGS) 2016. The team summarized the main interesting elements from the the 3 main priorities in an analysis dedicated to its members. This analysis aims to identify the key topics linked to WISEs and possible recommendations within this framework. The country-specific recommendations, as tailored policy guidance to Member States, are one of the key products under the European Semester. In 2015, the team created a summary document for each country where the network has a member in order to tackle topics such as social economy, unemployment and inclusion of disadvantaged groups in the policy framework of the different states of our Members. 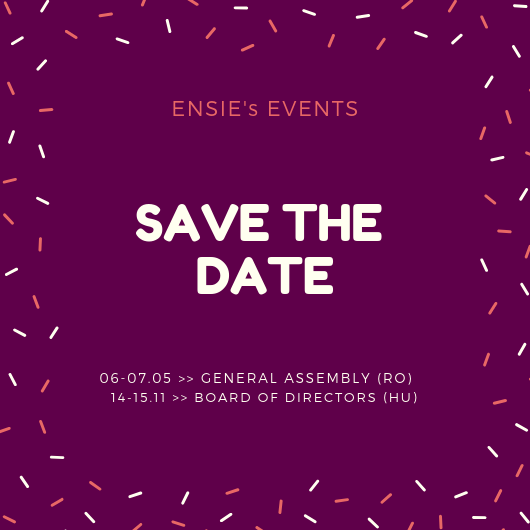 During its General Assembly meeting, ENSIE organised a training session for its members on the European Semester process.